On March 1 1998, Madonna’s Ray Of Light album was featured in an episode MTV’s Ultrasound. 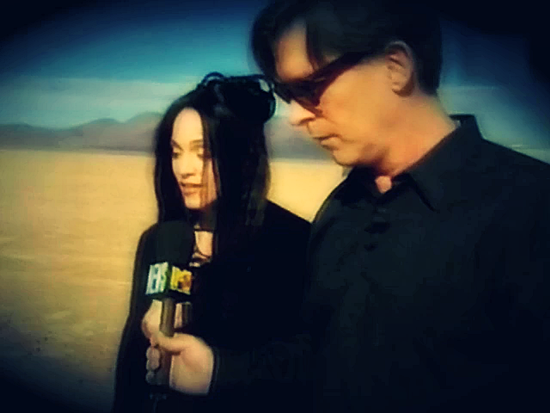 Kurt Loder visited Madonna in the studio during the recording of the Ray Of Light album in late 1997 for an exclusive chat and behind-the-scenes look into her recording process. He later joined her on the set of the Frozen video to conduct an additional interview for the episode. Madonna chatted about motherhood, her recent spiritual awakening, and the inspiration behind the album. Kurt also conducted interviews with collaborator William Ørbit, Guy Oseary and the director of the Frozen video, Chris Cunningham. Ray of Light is one of the best Rock records of all time! Pure Raw Madonna Art-A Ciccone Masterpiece-Imported from Detroit!